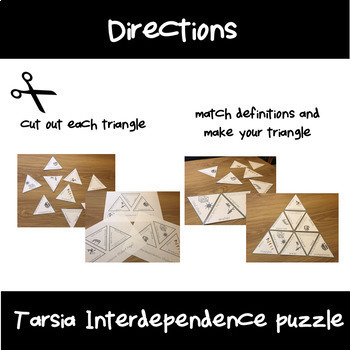 Interdependence Triangle Puzzle: cut out 9 triangle pieces, correctly match together vocabulary words or pictures to their definitions to form a triangle. 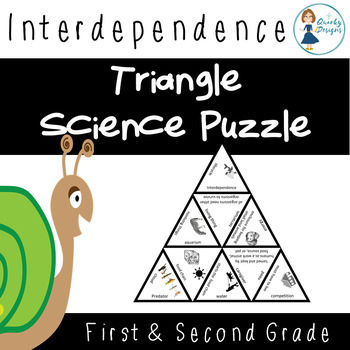 It's a fun end of unit challenge/game and your students will love trying to see how fast they can construct the puzzle. This puzzle can be completed in a group of individually. 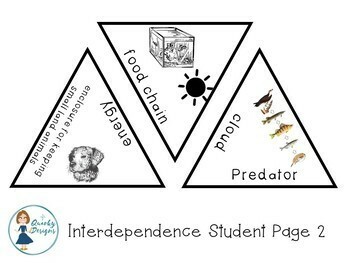 These pieces can be laminated and used over and over in a science center, or even year to year. You can also glue the puzzle together on an additional page to form a large triangle.